Looking for an alternative video player? Twins Video Player plays video in several formats, including the popular DivX, and AVI, aswell as MP3 audio files. 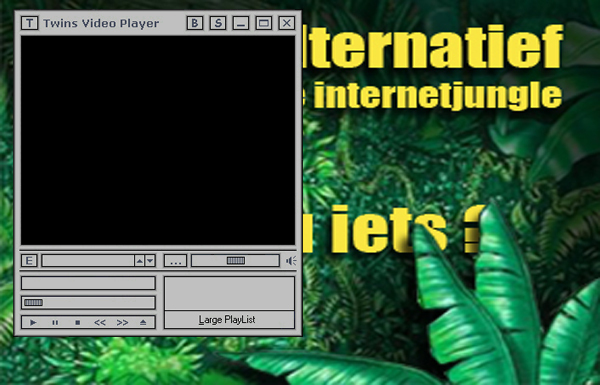 The program includes support for 20 different subtitle formats and sports a friendly interface, including a playlist. In addition to the usual bells and whistles like play jump and random play, Twins Video Player also lets you block the kiddies from viewing inappropriate content.